Y Camp is always open to those who gave their time, talent and treasures to serve campers and families over the decades. Being a Y Camp Leader or a member of the staff team is a special honor and something we do not take lightly. It’s a bond that holds the alumni of the Des Moines Y Camp together. It stretches across state lines, time zones and generations. Please, take time to connect with us. Join our mailing list to find out more about the latest news at camp and to stay in touch. We want to hear your story, so send us a letter or email, give us a call or, better yet, visit us. Take pride in your time at Y Camp; we take pride in you. Listed below are upcoming events that alumni are encouraged and welcome to attend. You can stay connected with camp, see old friends and make new ones. 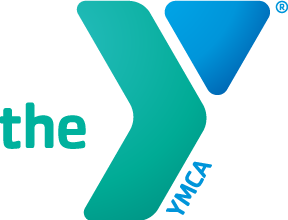 Meet at the Des Moines Y Camp to celebrate a century of life-changing impact, relationship building and character growth. A day full of fun with camp programs open and hundreds of camp friends and alumni to meet! We hope to see you there. Be a part of the start of Family Camp and an afternoon full of remembrance and recollection with Leaders from the present and past. Starts at 2:00 p.m. and ends at 7:00 p.m. after a free dinner for all! Check in at Chase Lodge and enjoy viewing camp artifacts before exploring camp!